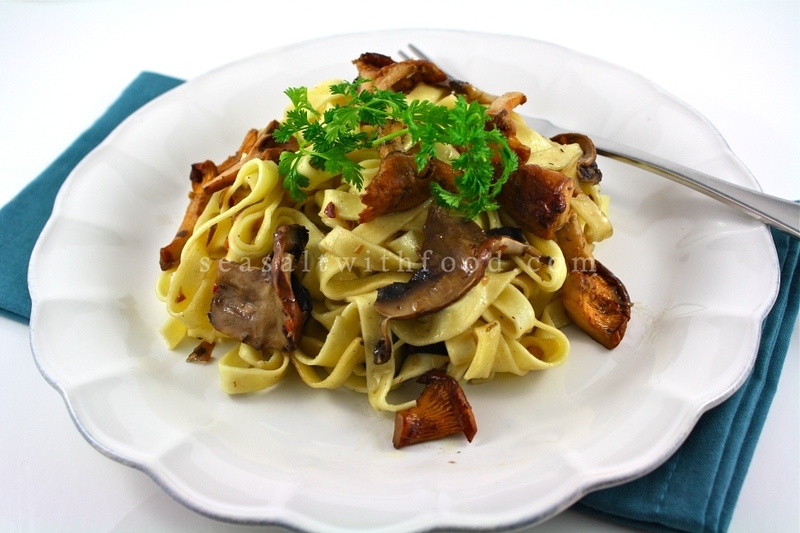 The minute I saw those fresh mushrooms in the supermarket and I knew, that I definitely had to have those mushrooms with Fettucini! Have a glass of white wine and some cheese after that? Sounds like a good plan, no? A good plan indeed! Clean the mushrooms and slice them thinly. Heat the butter and the olive oil in a large pan, add the chopped shallots and cook for about 5 minutes. Then add the chopped garlic and saute until the mixture are lightly brown. Stir in the mushrooms and cook for about 5 minutes. Add the white wine and cook for another 6 to 8 minutes. 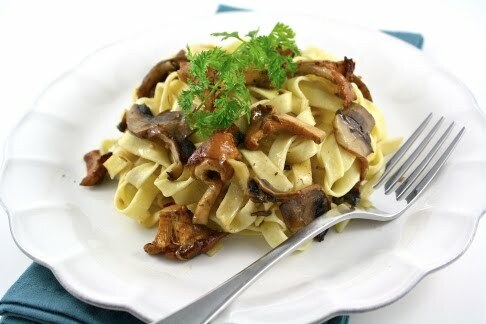 Season the mushroom mixture with sea salt and freshly ground black pepper. 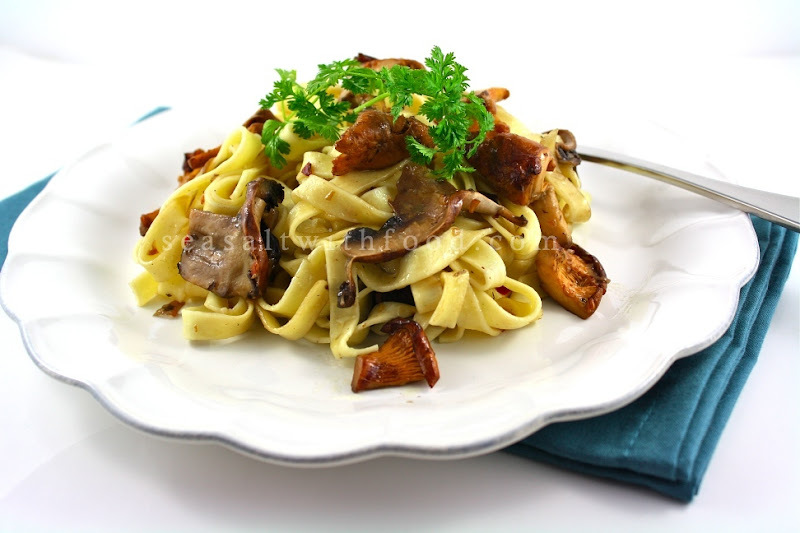 Toss the hot fettucini with the mushroom mixture. Top with some shaved Parmigiano Reggiano, chervil leaves and some lemon juice. Serve immediately!